The United States has increased U-2 reconnaissance operations over the Korean peninsula after ominous warnings from North Korea watchers in several nations and a first-hand report from Pyongyang. Morozov said Kim Jong-Un regime officials gave Moscow mathematical calculations showing that the intercontinental ballistic missile (ICBM) to be tested could reach targets on the U.S. west coast. North Korea is likely to carry out its plan Oct. 9 (Columbus Day holiday in the U.S.), or Oct. 10 (the anniversary of the founding of the North Korean communist party), a top CIA official said last week. “We are concerned…that risk exists at any time on the Korean Peninsula,” said Yong Suk Lee, deputy assistant director of the CIA’s Korea Mission Center, while speaking at a conference at the George Washington University in Washington. D.C.
North Korea often carries out nuclear tests or missile launches on important national holidays. Its first ever nuclear test was on Oct. 9, 2006. A decade later, on Sept. 9, 2016, North Korea conducted a nuclear test to mark its founding. U.S. 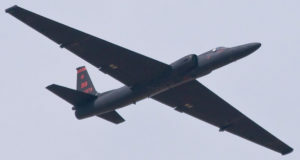 Forces Korea confirmed it has enhanced the operations of the U-2S ultra-high altitude reconnaissance aircraft and South Korea also increased surveillance with the RC-800 and RF-16 reconnaissance planes, the E-737 airborne early warning and control aircraft and P-3C maritime patrol aircraft. Maritime and land-based advanced radar systems are running to detect ballistic missiles from North Korea.